Smart HR provides human resource services to clients looking to maximize the potential of their employees. By offering innovative solutions through a personalized approach, Smart HR is able to help their clients achieve their organizational goals and focus on their core competencies. Smart HR's cutting-edge services and programs have created a new framework of what clients should expect from a leading human resource services firm. Smart HR wanted to expand their book of business clients in northern Virginia. 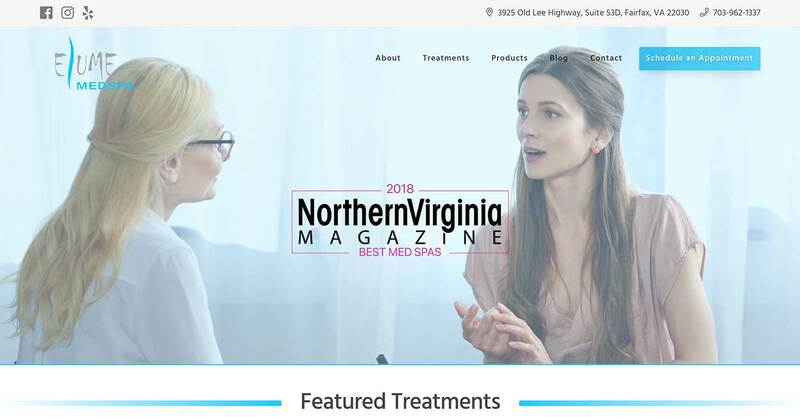 Their main project goal was to increase their online visibility through search engines in order to convert more qualified leads into business. 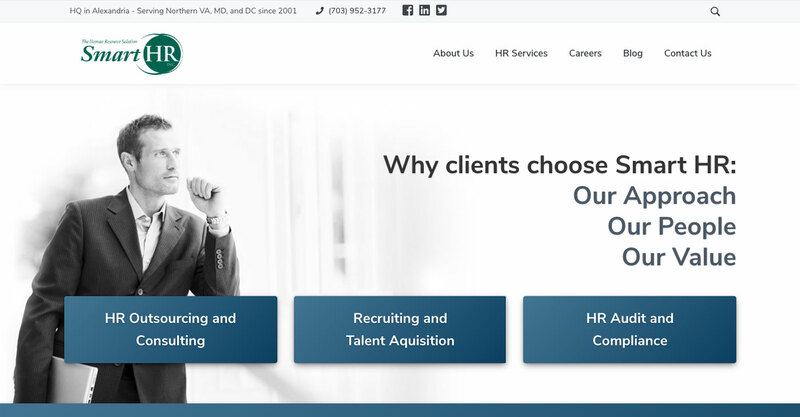 In addition, Smart HR was interested in having relevant content on their website. Our content marketing team creates several pieces of content a month for Smart HR. 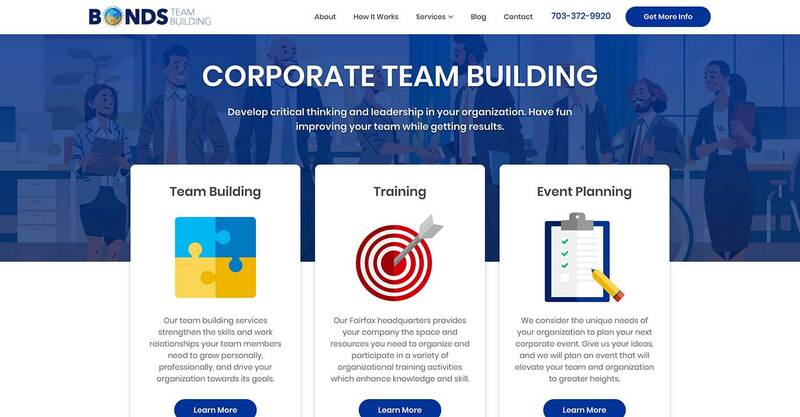 We also provided them with an enterprise-grade website that features the values, clients, and staff of Smart HR. 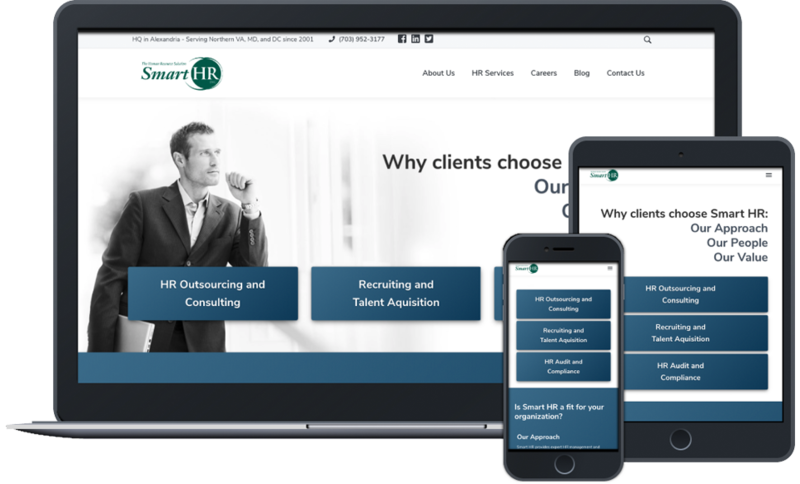 Our website development team also crafted a careers page for Smart HR as they are looking to hire more HR consultants. Since the start of the project, Smart HR has increased their brand awareness as well as their list of clients.